Great new item by TBT Tactical. 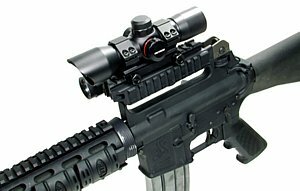 Rail mount sight set is angled to 45deg allowing a fast target transfer from scopes and reddots to iron sights with a simple flex of the firearm. 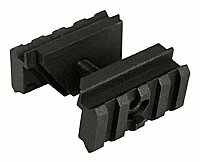 All metal unit, these can be mounted on the left or right side, have adjustible rear sight and adjustible post on the front sight. All metal construction. If you are like me you are always trying different positions with you accessories. You have to get lights, laser's, sights and everything else in the best position. 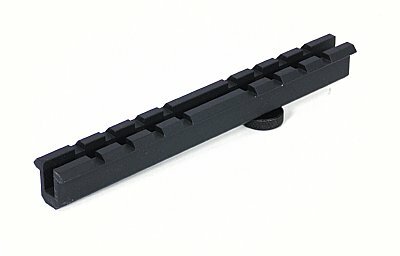 This quick release rail mount gives you tons of ways to position accessories. A David's Collectibles great item. 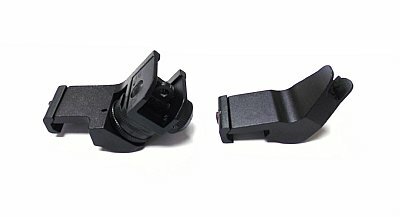 Great dual three slot accessory mount now available. Dual mount allows you to mount Red Dot, Laser's, and lights straight up or at a 45 deg angle. 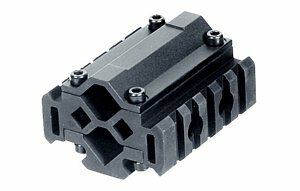 New design uses common center rail for either angle. Quick lock system allows for quick on and off tool free installation. Double 90 and 45 degree 3 slot mount mount. 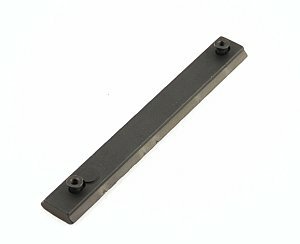 All metal construction fits all picatinny or weaver rails. 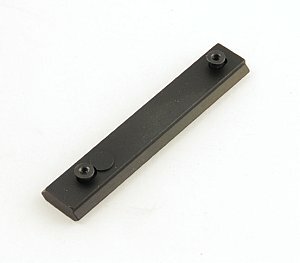 1.57" long, .98" tall made of high grade 6061 Aluminum alloy with a hard anodized finish. 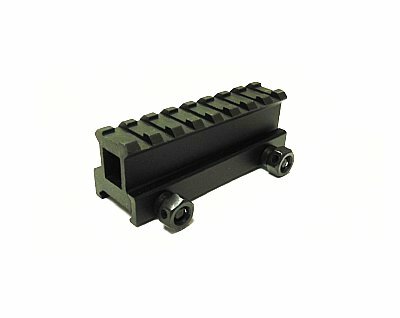 Common center rail allows this unit to be very versatile in mounting your accessories. Another David's Collectibles problem solver. Great way to mount your accessories out of the way, but still in reach. 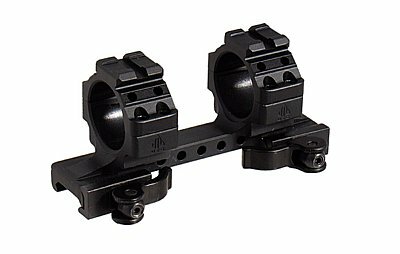 Dual 45 degree rails allow you to mount dot sights, lights and lasers at an angle. Still within easy reach. 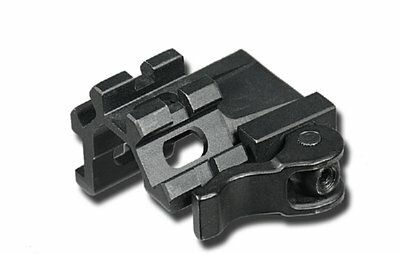 Mount is all metal and is open down the center allowing as easy sight thru for your iron sights. Another David's Collectibles great item. 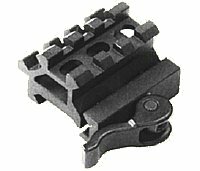 Easily mounts to Weaver or Picatinny rails and flat tops. 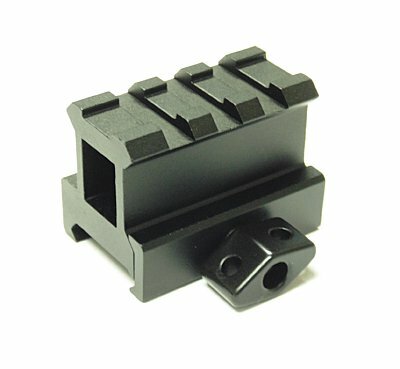 Rail mounted single slot mount allows you to mount small accessories on your Picatinny or Weaver Rail. 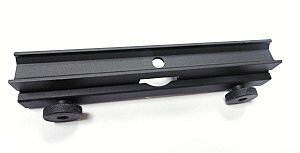 All metal mount attaches to rail with a cinch screw and is low enough to be able to see over the unit. 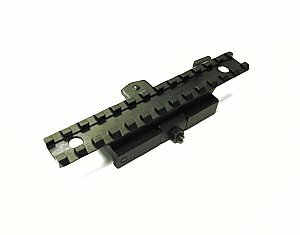 Rail mounted single slot rail mount. 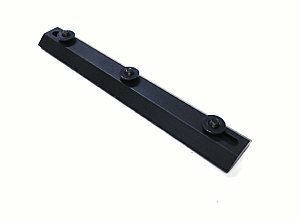 Great new item, mounts to your Weaver or Picatinnty rail and offsets your red dot, laser, light, or other items at a 45 degree angle. Heavy duty construction, many uses! We have had many requests for this item, In stock and ready to ship! 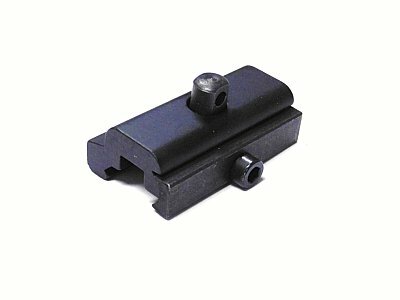 Great item, 4 slot mounts to your Weaver or Picatinnty rail and offsets your red dot, laser, light, or other items at a 45 degree angle. Heavy duty construction, many uses! We have had many requests for this item, we now have them in stock ready to ship! Short riser mount really solves the problem of how to mount your accessories. This riser mount is made of all metal and is see thru in design. Another problem solver from the team at David's Collectibles. You need to get that dot sight or scope up a little, but not too much. 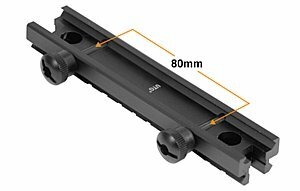 This baby does it, it raised your optic up half an inch and mounts easily to your flat top or rail system. Another tickbitesupply.com problem solver! Riser mount works great to get your optics up and over your front sight. This great see thru mount is built to stand up to anything you throw at it. Make of hight grade metal and finished with a beautiful black finish, this is the riser you need in your arsenal. Another David's Collectibles problem solver. NOTE: The Weaver rail system could have irregular slot placement. 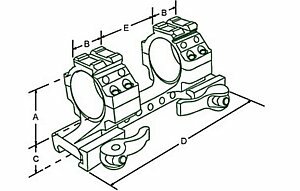 Please verify mounting positions of this product against your Weaver rail slots to ensure compatibility before purchase. 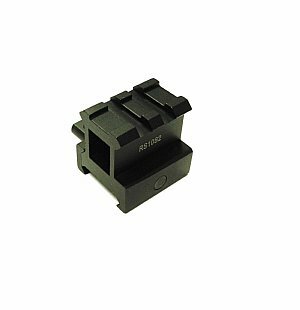 Riser mount allows you to mount your optics and fine tune the eye relief by moving the optic closer or further away from your eye. 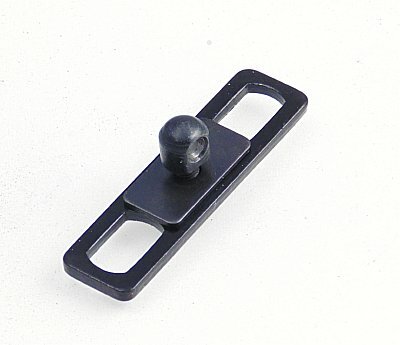 This is an all metal mount and will mount Picatinny or Weaver mounts or rings. 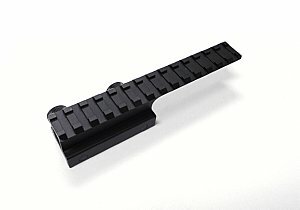 Length of Rail: 5 3/4"
Riser mount for rail systems, Quick Release operation. Allows you to mount your scopes, red dots and accessories and quickly remove and replace them with the flip of one lever. Mount is all metal, with adjustible lever lock latching mechanism. Black finish and heavy duty construction. 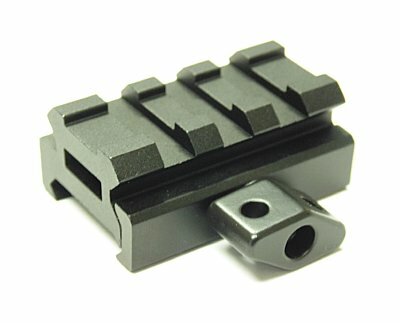 Just found AR carry handle mount's by Colt. 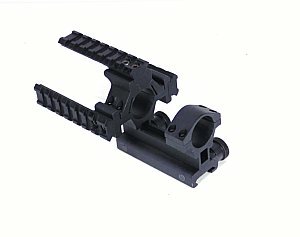 Carry handle mount attaches to the carry handle on all AR type rifles both A2 style and removable carry handle style. See thru, these are a one time buy and once sold out cannot be replaced. Mounts have the Colt logo stamped on each mount. Hurry, don't let this deal get by you! 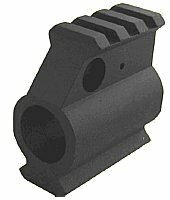 Strong and sturdy mount attaches to carry handle of AR type rifles One piece machined construction with see-thru design. Takes standard Weaver rings and has 11 slots for scope or accessory placement. 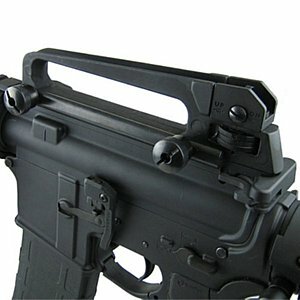 Carry handle tri rail mount fits perfectly in the carry handle of your AR rifle. 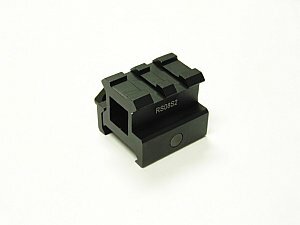 Mount allows you to easily mount accessories on your rifle as well as mounting scopes and dot sights. All metal construction and comes with all necessary hardware to mount to your carry handle. Works with both fixed carry handles and removable handles. You may need a riser mount, but not a full length model. 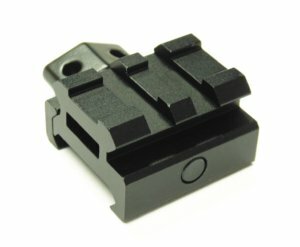 This mount raises your optic 1" but is only 3 3/8" long. 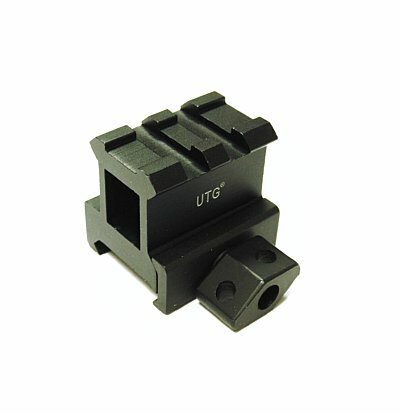 Great for mounting sights and dot sights. Another David's Collectibles problem solver. You may need a riser mount, but not a full length model. 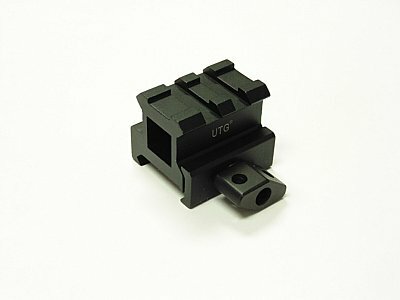 This mount raises your optic 1/2" but is only 3 3/8" long. 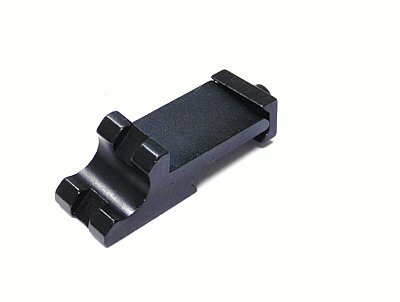 Great for mounting sights and dot sights. Another David's Collectibles problem solver. 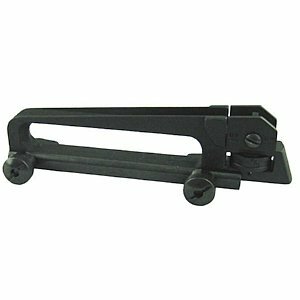 Rail mounted carry handle offers easy of carry with a great rear iron sight system. 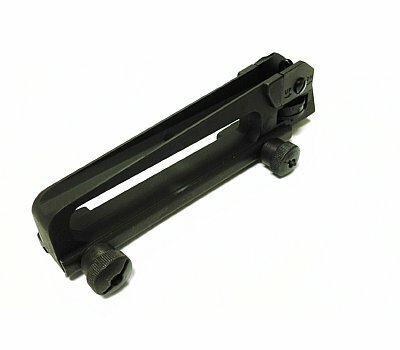 this TBT Tactical product installs easily, will accept our carry handle rail mount MNT-ARMNT992T and is made of metal. 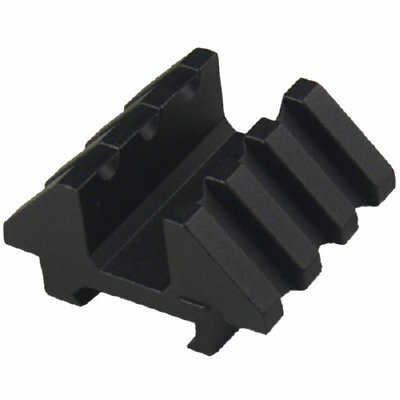 Fits mil spec uppers, has a long lasting black finish and installs without tools. Another best of tickbitesupply items! Integral one piece rail mount ring set for 30mm tube diam scopes. Quick release lever lock makes intallation and removal a snap. 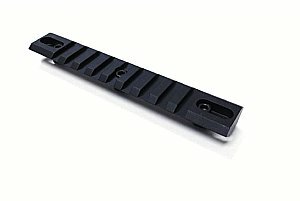 Heavy duty design unit also has top rail for accessories such as laser or lights. Another great David's Collectibles item. Get your's today! 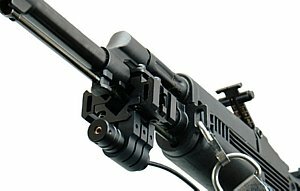 Mount adapter allows you to install your carry handle mounting scopes on your flat top. 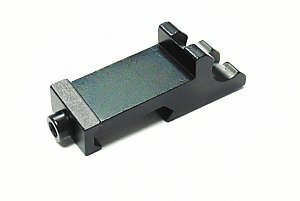 Scope or dot with carry handle base easily mounts to this all metal adapter and tightens snugly on the mount. Mount cinches up with two thumb screws making this great item tool free. Great solution to installing optics, red dots and accessories on your AR with a fixed or removable carry handle. Fits tight in the carry handle and locks in with thumb screw under the handle. This mount is all metal, see thru and is black in finish. Mount is 6 1/2" long and has 8 spaced slots. Mount system mounts to rail at least 3 1/8" long. 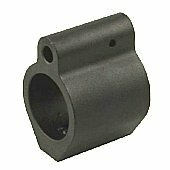 Includes integral 1" scope rings for use with 1" scope. 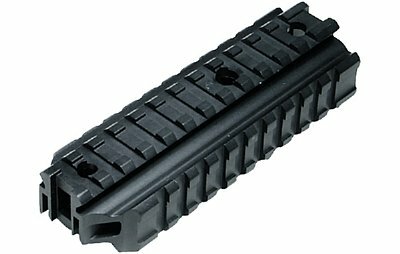 Also features three removable rails that are each 3 1/2" long with seven rail slots on each rail. Unit can mount on Weaver or Picatinny rails, or to a carry handle on the AR platform. All necessary hardware is included. 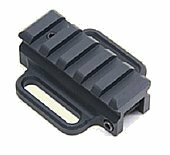 This TBT Tactical item allows you to mount your optics, your light, laser and more. 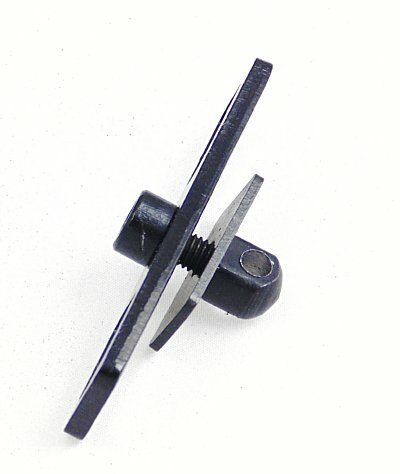 Integral mount is solid and attaches with two thumb screws. 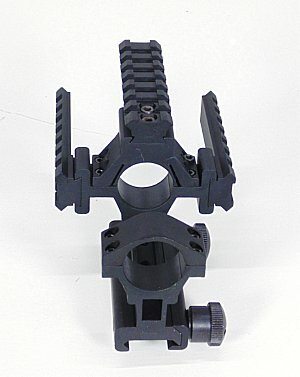 Distance Between Rings: Center to Center 2 1/2"
AR front sight tower mount. 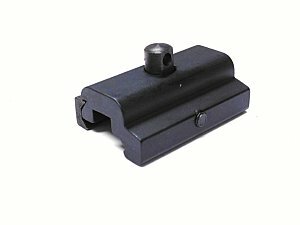 Mount locks in on both sides of the A post on the front sight giving you a platform for mounting lights, laser's, sling swivels and many other items. All metal construction. Another Tickbitesupply problem solver! 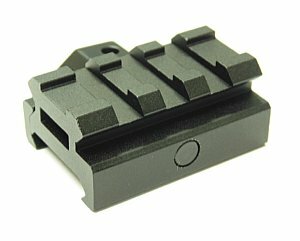 Fits tightly in the opening of the front sight and is angled the same as the opening in the sight. You bipod mounts to a stud, but you have a rail. 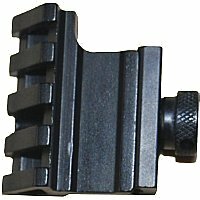 This handy little adapter easily handles this, it mounts to your Weaver or Picatinny rail and gives you the needed stud for your bipod. Another David's Collectibles problem solver. 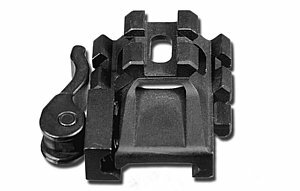 AR Sling swivel stud kit mounts slings or Harris bipod style bipods to your AR handguard. 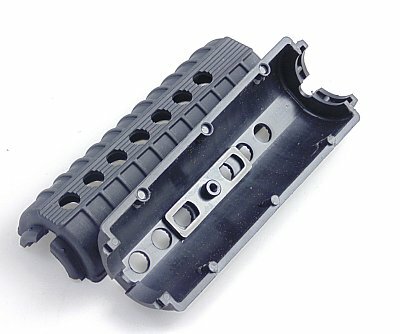 Fits stock polymer handguards and some free float systems. Made of steel, kit is easy to mount and gives you a stud for mounting accessories. 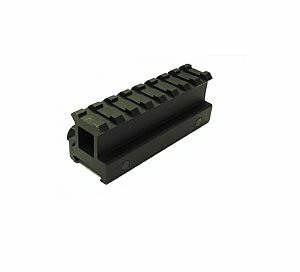 A TBT Tactical problem solver for your AR platform rifle. 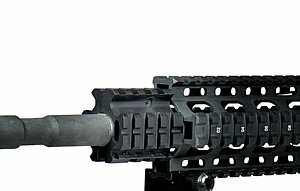 Simply remove your handguard, remove the heat shield from the lower handguard half. Install the inner plate with the barrel up. On the outer section install the outer plate and screw in the stud and tighten. Install your inner heat shield, install your handguards and you are ready to mount your sling or Harris style bipod. 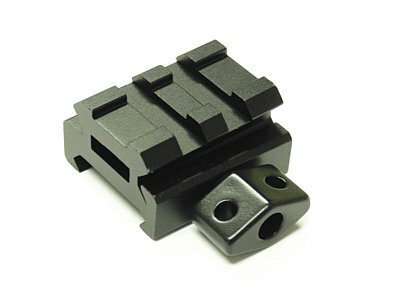 Tech note: Our ACC-ARHGTOOL2 makes installation and removal of handguards quick and easy, and if you need a sling swivel for your stud adapter, our SLI-SS125 swivel is a perfect fit. 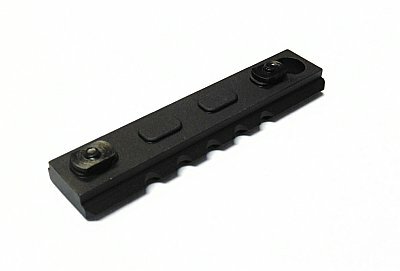 New Tickbite Tactical product! Cantilever mount is just the ticket for our SCPRD1530 1.5x30 red dot, or any similar system where you need the flexibility if a cantilever mount. 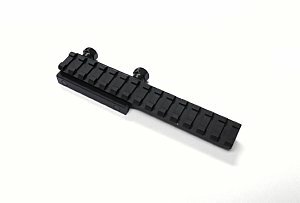 Unit has quick detach thumb screw (no tools needed), mounts to Weaver or Picatinny spec rails. 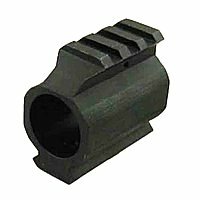 Unit fits all 30mm tubes and comes with a free 1" insert to use with 1" tube optics, taclights etc! Barrel Rail Mounts. 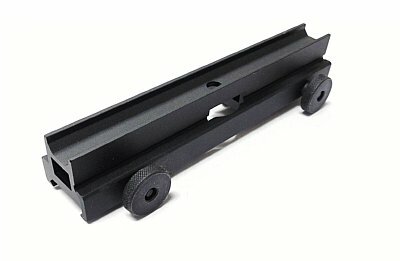 Provide one or two rails to mount accessories. Made of tough aviation grade anodized aluminum. Can be installed above and below or on both sides of the weapon. 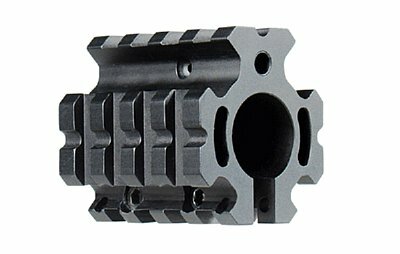 Precision machined for tight fit, durable and lightweight. A great accessory item for any weapon! Another new item. 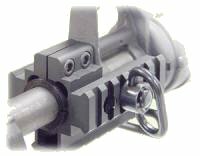 Mounts to your AR or M16 bayonet lug and gives you a rail for bipods, laser's or lights. Also features ambidextrous mounting poings on each side for sling, both quick detach and loop thru sling. All metal construction for years of hard use! Brand New and Shipping! 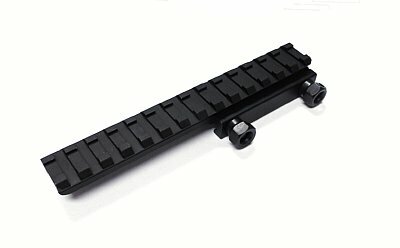 Our new Barrel Mount TRI Rail ! 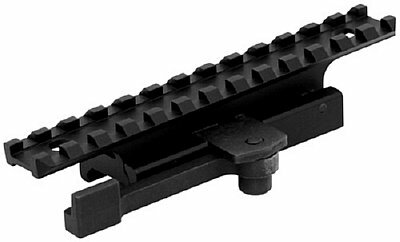 Deluxe Tri-Rail Barrel Mount Complete with 2-PC Separated Barrel Adaptor. Hurry, don't let everyone else get one first! Our QDSW28 Deluxe QD Swivel is also available, see below. 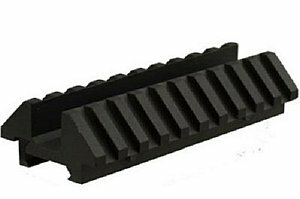 Quad rail gas block fits standard .75" barrels and gives you a mounting point for rail mounted sights, sling swivels, bipods, lights and laser's. 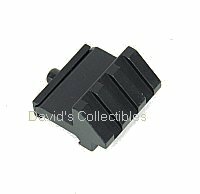 Great quality piece serves the needs of black rifle owners, another David's Collectibles great item. 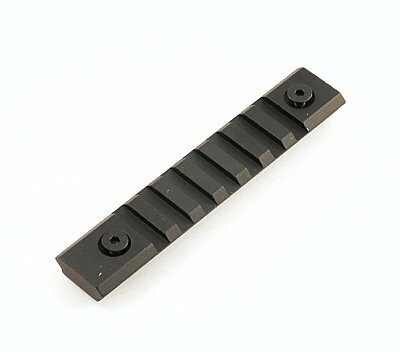 Top Rail Lower than Flat Top by 0.28"
Great new item by TBT Tactical. 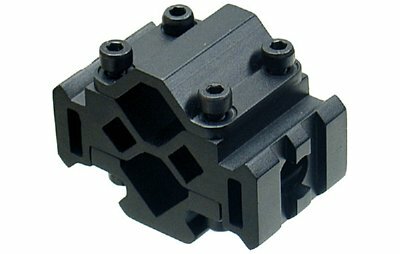 Front micro gas block allows gas block to go under free float and extended quad rails. Fits all standard .750 barrels, and includes the pin. Great quality product at a great price! Great new item by TBT Tactical. 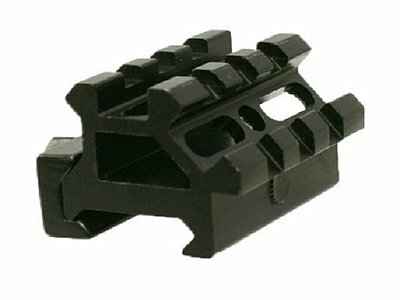 Front gas block features top and bottom rail for accessories and sights. Unit has a defined slant on top blending in with the lines of the gun. Fits all standard .750 barrels, and includes the pin. Great quality product at a great price! 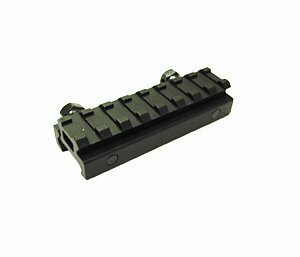 Rail section for you keymod rail system. 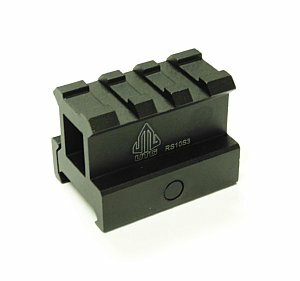 Easily fits and locks onto that great Keymod Quad on your weapon. All metal construction, another David's Collectibles problem solver. 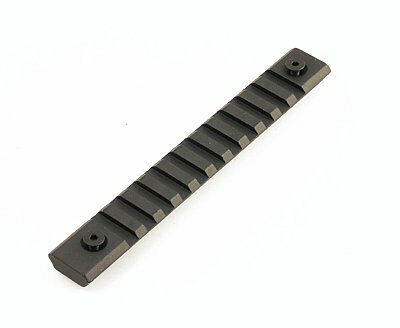 All metal rail section fits your Keymod spec quad. 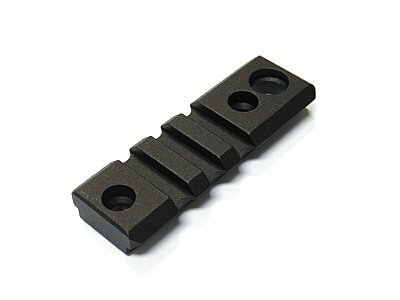 All metal rail section has 3 slots and is machined to accept quick release accessories such as our SLI-TTQD quick release sling swivel. 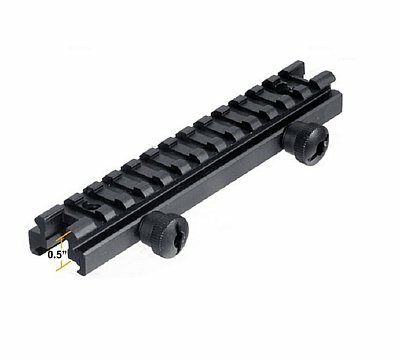 Includes necessary hardware to install to your M LOK handguard. 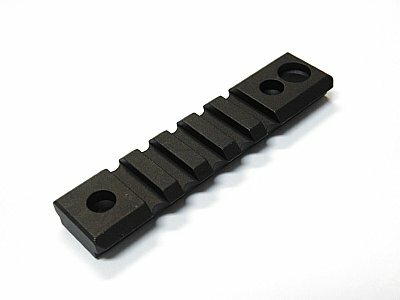 All metal rail section has 5 slots and is machined to accept quick release accessories such as our SLI-TTQD quick release sling swivel. 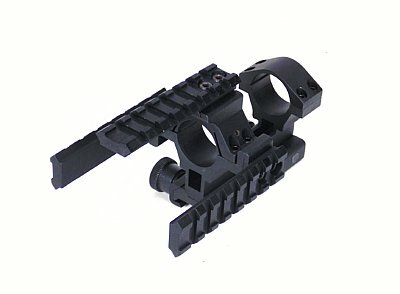 Includes necessary hardware to install to your M LOK handguard. 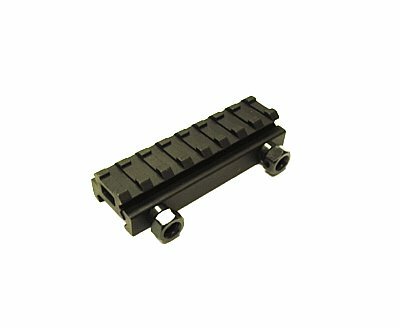 TBT Tactical Metal Picatinny rail section mounts to Magpul MOE Handguard. 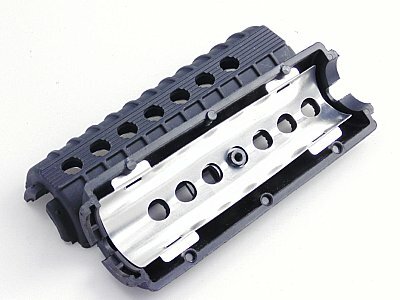 Mounts thru holes in your handguard with the included hardware. A great platform for mounting bipods, lights, lasers as well as grips. Another tickbitesupply problem solver. 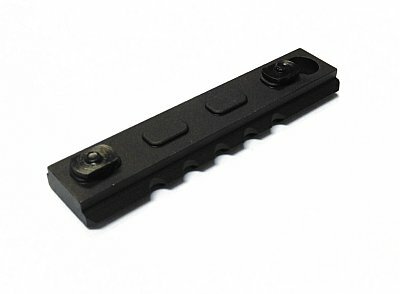 This picatinny rail attaches to your Magpul handguard through the existing slot holes. If you like the look of your standard handguard or don't want to get a quadrail, this rail allows you to mount accessories on your MOE handguard. 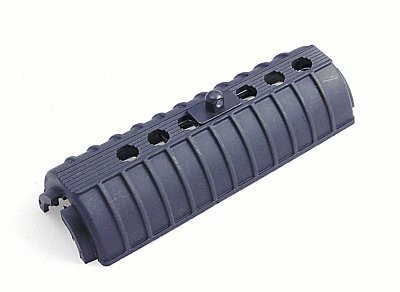 Ideal for a forward grip, angled foregrip, bipod, or a flashlight. It measures 5" length, and has 9 slots. Attaches and screws in three different locations to allow for a secure, tight fit. 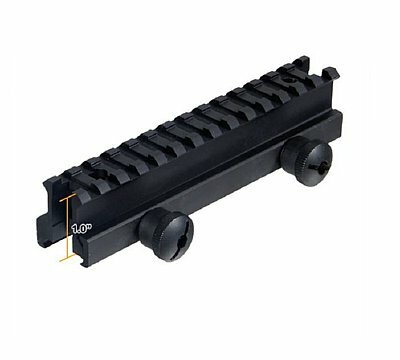 Triple rail system fits any rifle with a weaver base. Holds up to a 40mm objective, rings are one inch diameter. System gives you three rails to mount goodies on. Medium height. 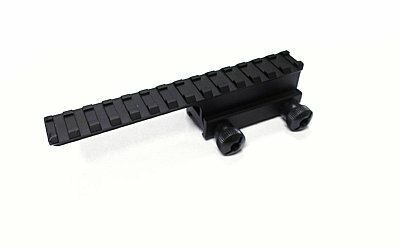 Triple rail system fits any rifle with a weaver base. Holds up to a 40mm objective, rings are one inch diameter. System gives you three rails to mount goodies on. Low height.